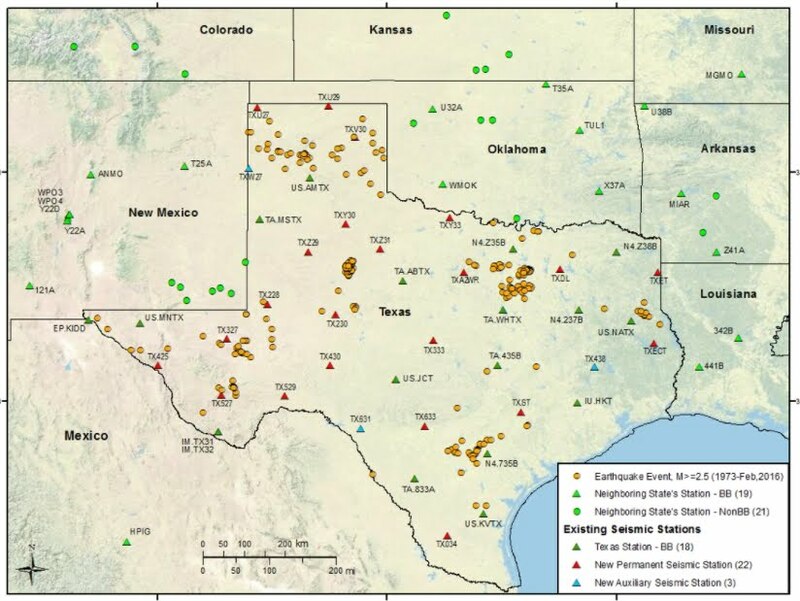 Today, the American Geosciences Institute and a number of sponsors (AASG, USGS, AAPG, AEG …), broadcast a 60-minute webinar spotlighting the state response to induced seismicity in OK, TX and OH; states that have seen dramatic increases in seismicity over the past decade. More than 350 people joined the webinar. Great information – and graphics - from each participant documented how their state government was responding to an exponential increase in earthquakes powered by increased wastewater injection associated with oil and gas production. Showcasing Oklahoma, most of the recent seismicity is the result of fluid pressure increase from injection of wastewater. 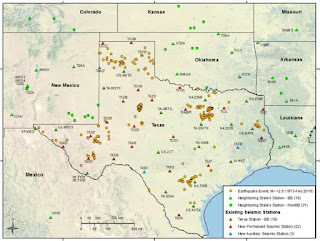 Induced seismicity from fracking activities has been minor and limited to small magnitude events, e.g., M1 to M2, with rare M3. Oklahoma would like to build out a $4M seismic network to enhance seismic monitoring, and is now exploring funding opportunities. The situation in TX is more involved and complex and I’ll pass on trying to summarize Michael Young’s excellent presentation. In Ohio, oil and gas production has increased exponentially since 2011 with most wells tapping the Utica Formation in eastern Ohio. Similarly, injection volumes increased exponentially over the same time window with 32 million barrels of water injected in 2015. Ohio Dept. of Natural Resources has built an excellent public awareness and educational outreach program to address the concerns of Ohio citizenry. 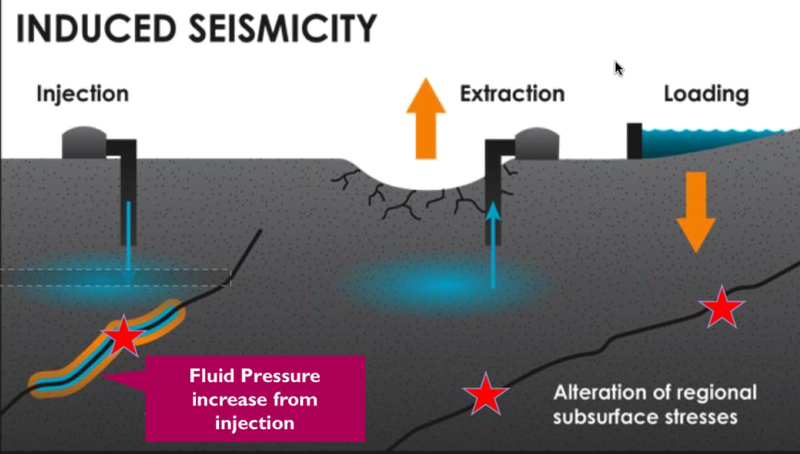 Take-Away – Rising oil and gas production accompanied by wastewater injection will continue to produce induced seismicity. All three states are making inroads into reducing and controlling induced seismicity, but it’s not going away. 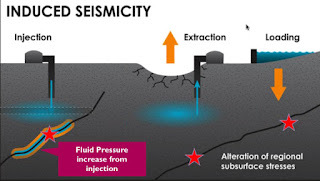 For additional information: AGI-Induced-Seismicity .